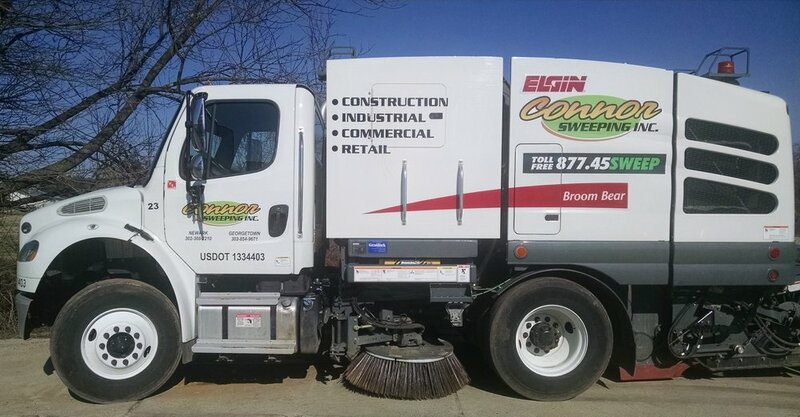 Connor Sweeping Inc. uses heavy-duty Mechanical Brooms to meet the requirements of the construction environment. Our brand new state-of-the-art trucks are dependable and reliable. Our trucks are equipped with water systems that are used for dust suppression. This helps to provide a more thorough sweep as well as reduce the unpleasant "dust clouds" associated with traditional street cleaners. Large hoppers collect the dirt/debris from your roadways to be deposited at a suitable dump site. Our trucks are equipped with high dumps that allow dumping into a trash container or truck if required. Our Mechanical Street Sweepers are designed to handle sweeping projects in harsh environments and keeping dust and pollutants to a minimum. These machines are well-suited for collecting dirt, sand and small debris typically found in the industrial, manufacturing and municipal environments.